I often compare the concept of cultivating financial wellbeing to that of gardening. To achieve financial wellbeing, you must also begin with a well thought out plan. Timing and placement of funds are important as you embark on your journey to financial wellbeing. The beginning stages of your financial journey are different and must be tended to according to the seasons of your life. Not unlike tending to your garden as it goes through different stages of growth. It’s also important to understand that financial planners are not just for the wealthy. They do cost money, however there are financial planners available for almost everyone. Some planners focus exclusively on high wealth, while others tend to the needs of those with less wealth to manage. It is always important to pay attention to how your financial adviser is compensated, as fees and compensation matter. It has been shown that financial planners help individuals generate roughly 1.82% excess return each year, creating roughly 29% higher retirement income wealth. This means even if an adviser is charging a 1% fee a year for the management of retirement assets, the financial advice still has a huge impact on generating additional retirement income. Ask for recommendations among your friends, family members and work colleagues. And, when you find a financial planner you think you would like to work with, don’t hesitate to ask them to provide client recommendations. 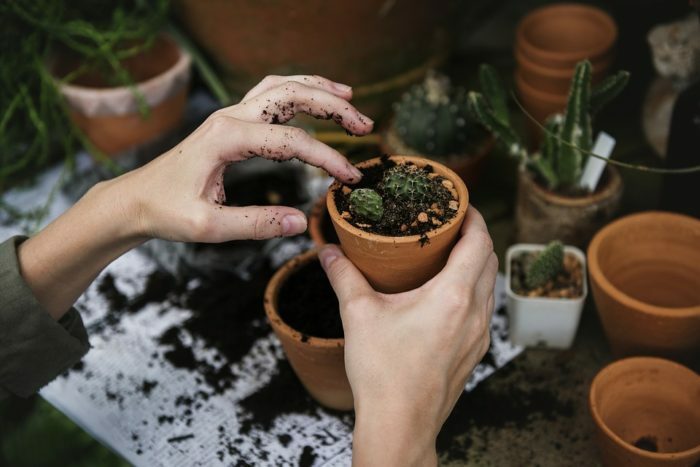 Once you have been following a financial plan diligently for a few years, your assets will be growing and maturing, like the plants in a well-established garden. That’s when you’ll begin looking at the second phase of your financial plan which is investment management. Every garden must be managed. You have to weed, prune, enrich the soil and rotate plants in order to increase your yield. Investment management is akin to this stage. In the cultivation of wealth, investment management focuses on managing financial assets with a performance level in mind. It’s important to periodically assess the performance and health of your investments, making adjustments as needed. Just like in a garden, healthy growth cannot be maximized without regular pruning. Investment management done well eventually leads to the accumulation of wealth and the need for asset protection. Wealth is relative to each individual. However, much wealth you accumulate, its good management helps you stay on top of things. Very often, a wealth management team unites advisers from different disciplines to pay attention to many of the financial details in your life for you. The team looks at your goals, needs and priorities to determine the right, individualized strategy for guiding your invested assets and enhancing your net worth. The long-term focus of asset protection also comes into play at this stage. Depending on when you begin your active cultivation of financial wellbeing will have a direct result on your asset protection needs. The earlier you begin and the diligence you apply, the better your outcome. If you are just beginning to cultivate financial well-being or would like another opinion regarding your current financial plan, give our offices a call and let us help you establish the roots of a strong financial future.